Children are born curious. By exploring, asking questions, and using sight, touch, smell, taste and sound children find out about themselves and the world around them. They are always learning something new. Play is one of the main ways that children learn from the world. 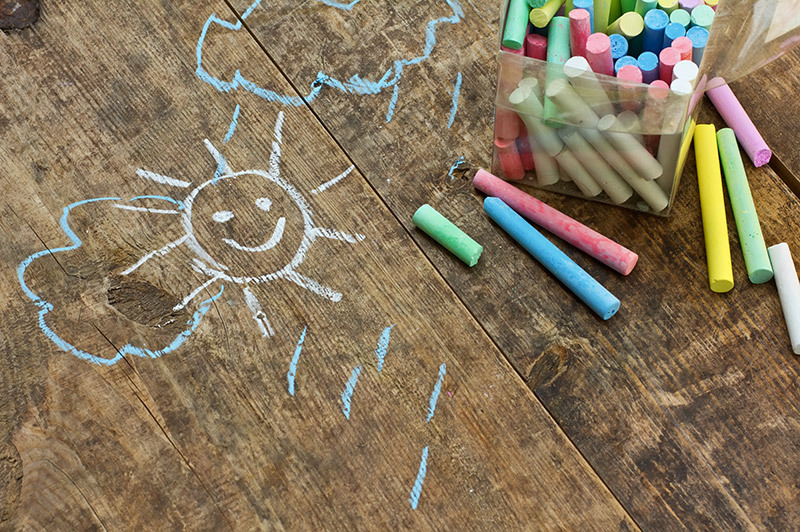 As a child care provider, you can help foster the children’s development by giving them chances to play and have fun. Encourage them to explore, discover and try new things. Simple everyday tasks like playing outdoors is fantastic. 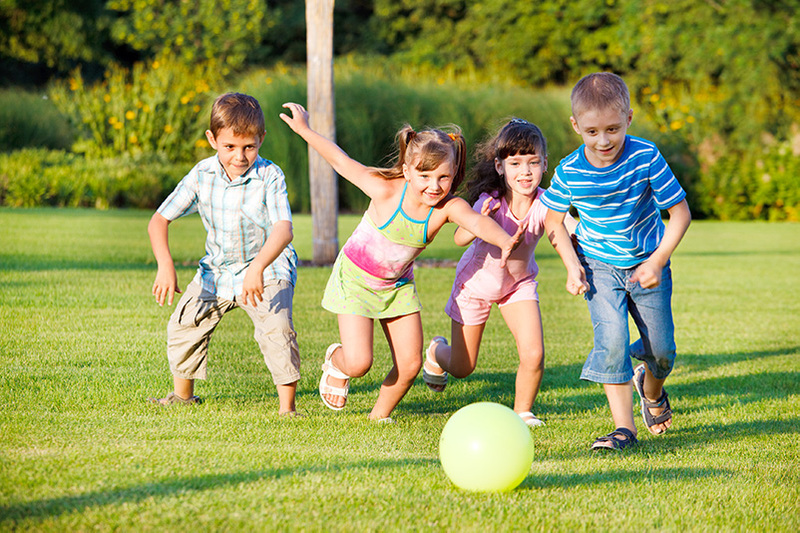 There is an innate need for children to be physically active. Adults have it too – it is just more prominent in kids. Physical activity is any form of exercise or movement. It develops essential skills such as agility, coordination, flexibility and balance, and allows children to become aware of their own bodies and of the environmental conditions which affect movement. Playing teaches kids to relax, have fun and develop creativity, confidence, emotional flexibility and social skills. Their perceptual and cognitive skills and processes are enhanced through play and movement too. Actively playing helps to develop the brain as well as keeping kids healthy and happy. Early childhood experiences influence how the mind develops and the brain becomes structured. The more areas of the brain that are stimulated and used, the more neural pathways and networks are established. Playing can be done with other children, alone, or with child care facilitators, or with family. Playing is a childhood tradition that has passed down from generation to generation. Even in times of immense struggle such as war and the great depression, children would always find ways to play and have fun. In today’s world children now have too many structured activities and extra curricula activities. There is excessive use of technology, and as they get older are under increased academic pressure. For the first time in history Western children are losing their natural outdoor areas for play and are forgetting – or not learning – how to engage in simply playing. The consequences of this are huge. Today many parents are wanting young children to learn through academic scenarios. Activities that support academic skills can be highly valued by parents. 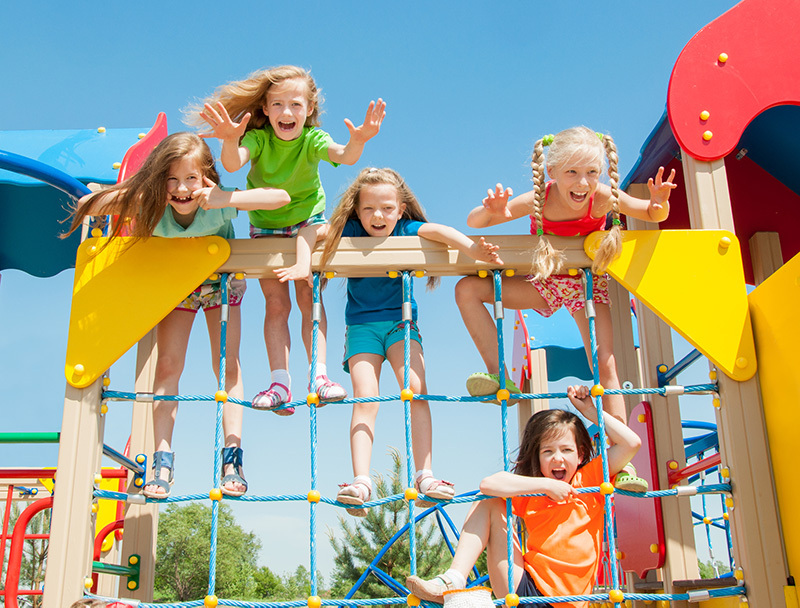 Play is fun – it keeps children occupied and it takes you out of time. It releases stress and promotes happiness endorphins. Play creates those feel good feelings of creativity, empathy, and collaboration. When deprived of opportunities to play, children’s development can be impaired significantly. Play is real work! Hands on materials like sand, dirt, water, blocks, ramps and balls are excellent. Sometimes it can be a game – like playing teachers or being a fish or a dinosaur. Children can get creative – a tree can be a castle, a leaf an item for sale when playing shops. Playing builds self esteem and is fun for the children and facilitators alike. Some outdoor as well as indoor play is ideal when the weather is fine. Play time can be enhanced when it is shared with other children and with childcare facilitators. Coach children to play at every opportunity. “That swing looks like fun!” “Would you like to play with the building blocks?” “I see that you are looking at Kylie. Would you like to go and ask her to play ball with us?” Playing builds social skills as well. Play is not frivolous or something to be done after the real work has been completed. There is something in that for us adults as well! The Kindyhub App allows your early learning facility to record children at play so that their parents and families can see them in real time. The parents are happy knowing that the kids are having fun. It also makes it easy for child care facilitators to reflect on structured and unstructured play and plan events to extend on children’s interests – what was fun, what was not. What worked and what didn’t. Kindyhub App brings benefits to centres, parents, and families and most importantly the Children. To find out more contact us. Want to test drive Kindyhub? Signup for a FREE 4 week Trial or Book an online Demo with one of the friendly team.